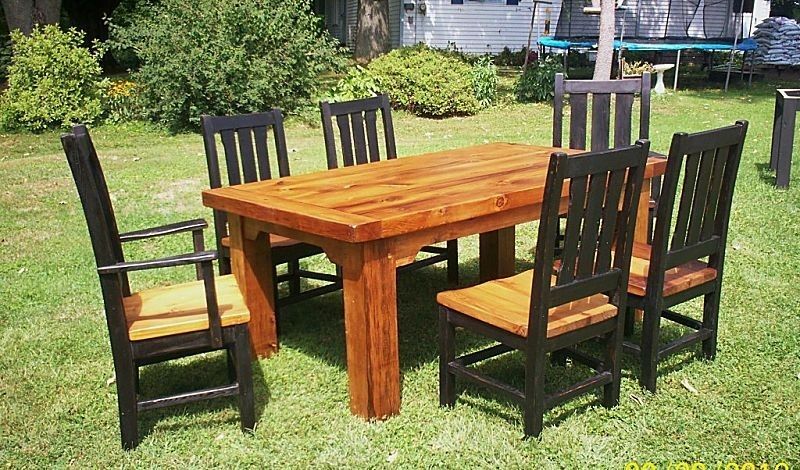 Here's an example of a full set made by me . 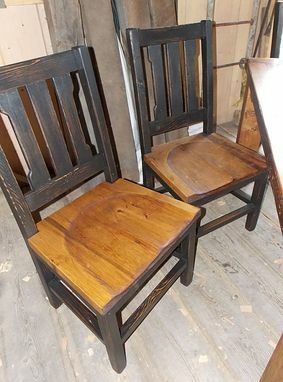 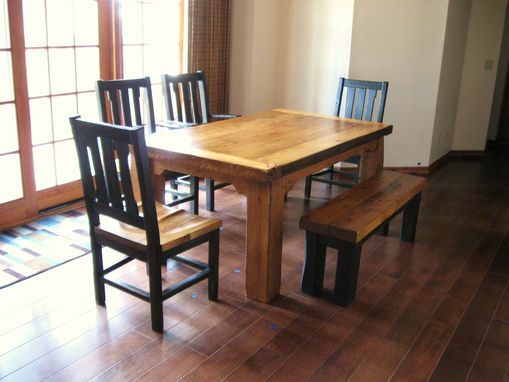 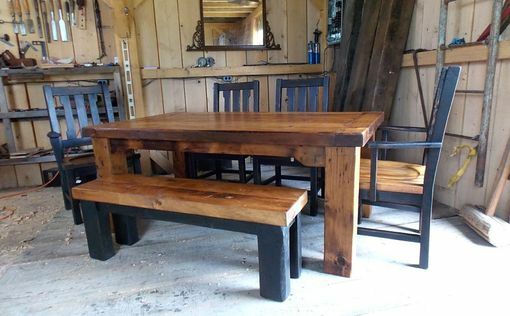 The chairs are oversized to match the heavy planked table.The table legs are roughly 6"x6".The top is nearly 3" thick.Color of stain and or paint can be to your preferences. 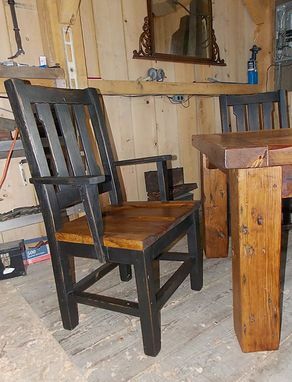 The chairs are made individually by me.The seats are carved out by hand also.